Philanthropist, real estate investor, and long-time EEWC member Marjorie L. (“Margo”) Goldsmith died August 24, 2010, in Tustin, California, at age 91. 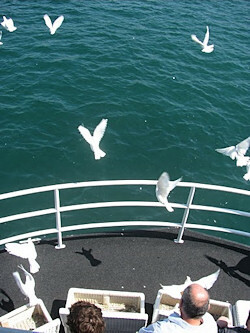 During a festive memorial service for her on September 12 aboard a yacht in Newport Harbor, white homing pigeons were released as a symbol of her family and friends releasing Margo back to her Creator. In 2003, Margo made a generous grant to EEWC, as it was then known, to help the organization increase its membership. 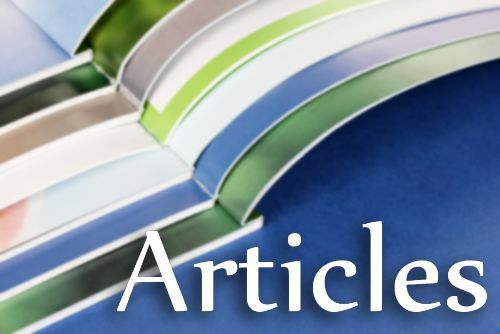 The grant continues to be used in numerous ways such as publicity for conferences and gatherings and development of the organization’s website, eewc.com. Margo, along with the late Dr. David M. Scholer, professor of New Testament at Fuller Theological Seminary in Pasadena, California, was recognized by EEWC with one of the organization’s first Awards of Recognition for lifetime contributions to the cause of Christian feminism. The awards were presented to Margo and David at EEWC’s 2004 biennial meeting in Claremont, California. Born Marjorie Elizabeth Laraway on June 3, 1919, in Bay City, Michigan, she moved to California with her parents in 1929 and attended UCLA in the late 1930s. After completing her Associate of Arts degree, she left college to marry Jack Goldsmith and raise two children, Marilyn and Richard. She and her husband began acquiring real estate properties, which she managed successfully for 35 years. During the years when her marriage was moving toward the divorce that ended it after 31 years, Margo did not consider her life over, but rather as the beginning of a new chapter. At age 58 she returned to college, completing a Bachelor of Arts in psychology and religion followed by a Master of Arts in marriage and family counseling at Azusa Pacific University. Throughout her life, Margo Goldsmith served as a role model in demonstrating what women can achieve and how they can use their achievements to make the world a better place. Her two children have followed her example by entering the fields of social work and marriage and family counseling. Always generous to those in need, Margo launched a career in philanthropy in 1981 by co-founding a counseling and advocacy program called Stop Abusive Family Environments (SAFE) at Fuller Theological Seminary’s School of Psychology in Pasadena. She also worked as a counselor in the program. Connie Doran, co-founder of the SAFE program, recalled Margo’s offer to fund chairs for women professors at Fuller in the mid-1980s. When the seminary’s president turned down the offer, saying that women professors weren’t needed, Margo walked out of the room and began working with Claremont Graduate University to found a program there. In 1990 she became the founding donor of the Women’s Studies in Religion program at Claremont and endowed the Margo L. Goldsmith Chair in Women’s Studies and Religion, currently held by Dr. Karen Jo Torjesen. Through scholarships and her other support to the program, feminist scholars studying Islam, Christianity, Judaism, Buddhism, and other religions are making a lasting impact on religious understanding and inequality world-wide. For her charity and dedication as a life-long learner, Margo was awarded an honorary doctorate from California Christian Institute (now Trinity School of Graduate Studies) in Anaheim. In 2006 she created the Goldsmith Legacy Foundation with the mission of empowering women and children living in southern California as they make positive changes to improve their lives. With her guidance, grants totaling $159,000 were awarded by the foundation in 2009 to organizations meeting these criteria. When Margo talked with someone who needed support or encouragement, she would often be writing a check by the end of the conversation. Outrageous and unstoppable are two of the words friends choose to describe Margo. For example, long-term friend Ellen Davis recalled setting out on a self-styled missionary journey with Margo in an RV painted with “Jesus is the way” and “Knock if you want to pray.” They covered thousands of miles in the United States and Canada, sharing prayers, bread, and money with those who approached them for help. “We took every detour we could find, and mostly we ended up at the beach,” Davis recounted. “On an Oregon beach a woman and son who were out of food approached us. She was an abused wife of a pastor who had driven there from the Midwest.” They ministered to the two with prayer, compassion, and financial help. 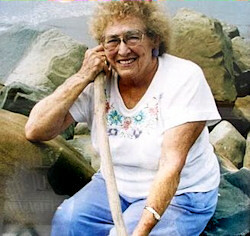 Margo is survived by her daughter Marilyn Smith and her son Richard Goldsmith, as well as five grandchildren.